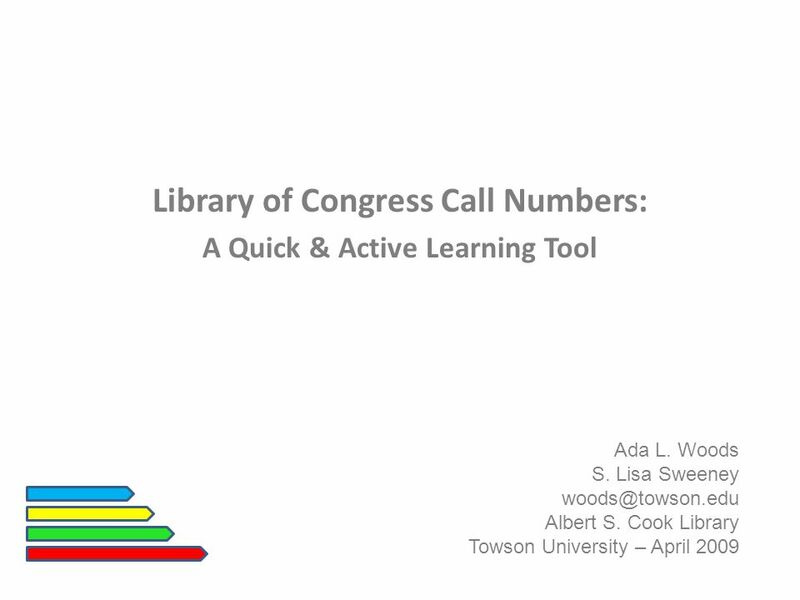 Library of Congress Call Numbers: A Quick & Active Learning Tool Ada L. Woods S. Lisa Sweeney Albert S. Cook Library Towson University. 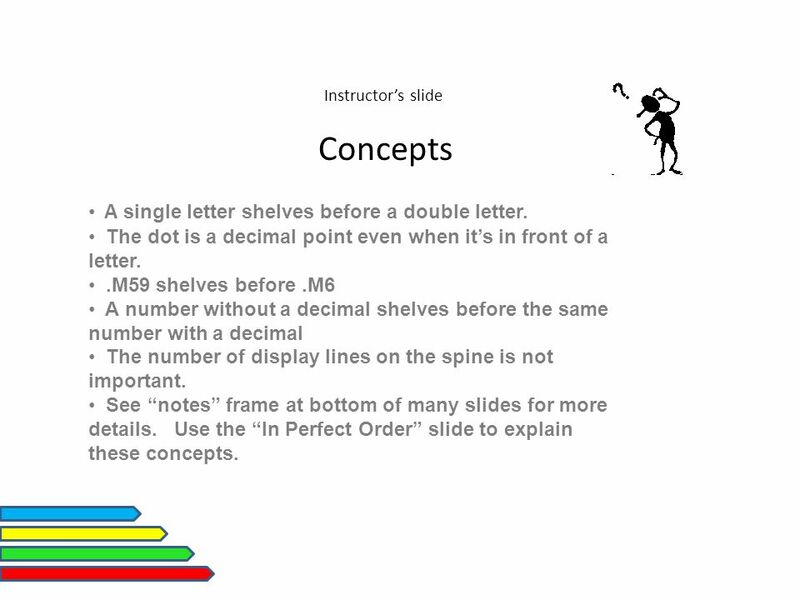 3 Instructor’s slide Concepts A single letter shelves before a double letter. 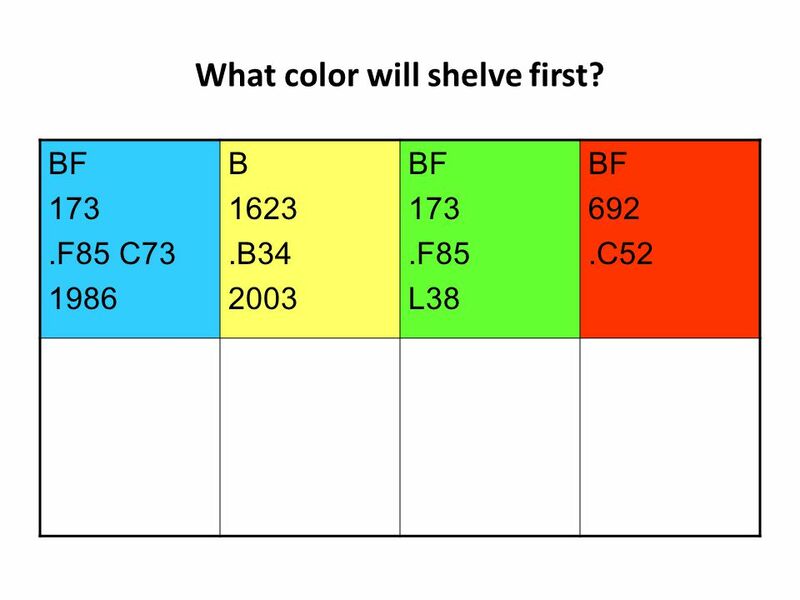 The dot is a decimal point even when it’s in front of a letter..M59 shelves before.M6 A number without a decimal shelves before the same number with a decimal The number of display lines on the spine is not important. 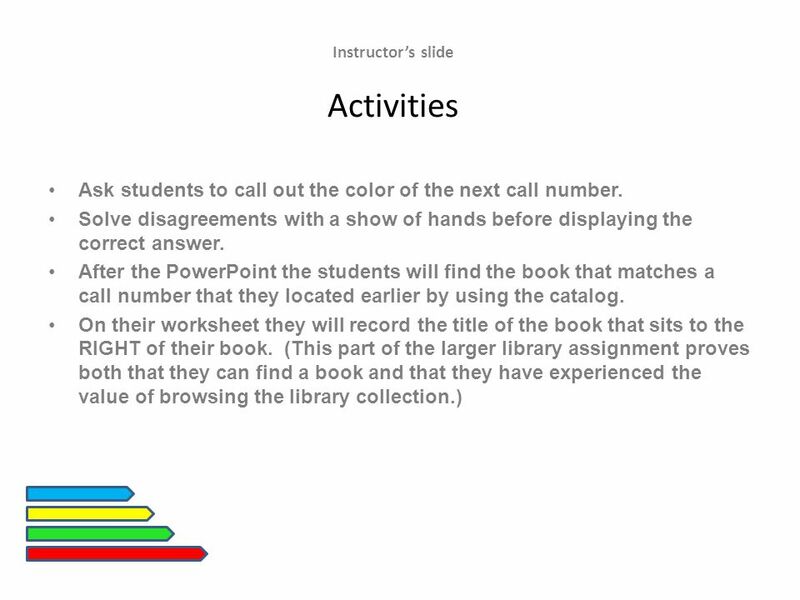 See “notes” frame at bottom of many slides for more details. 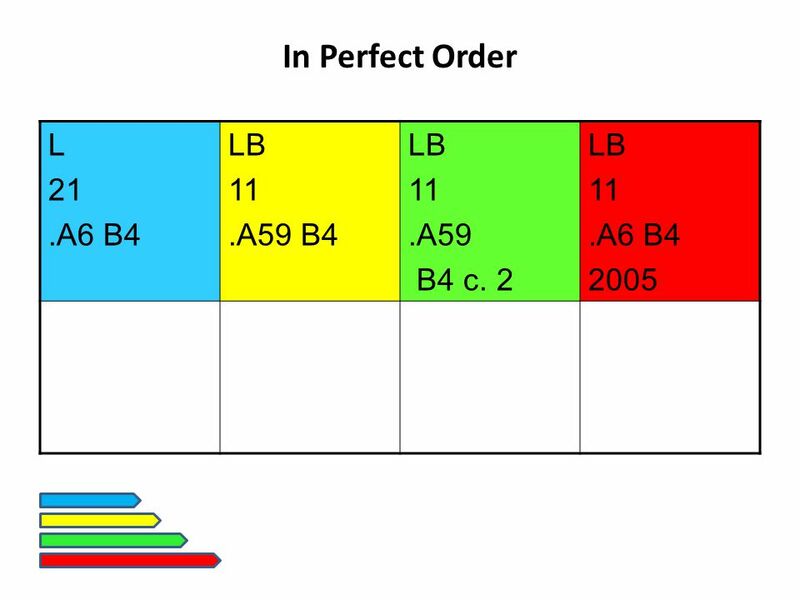 Use the “In Perfect Order” slide to explain these concepts. 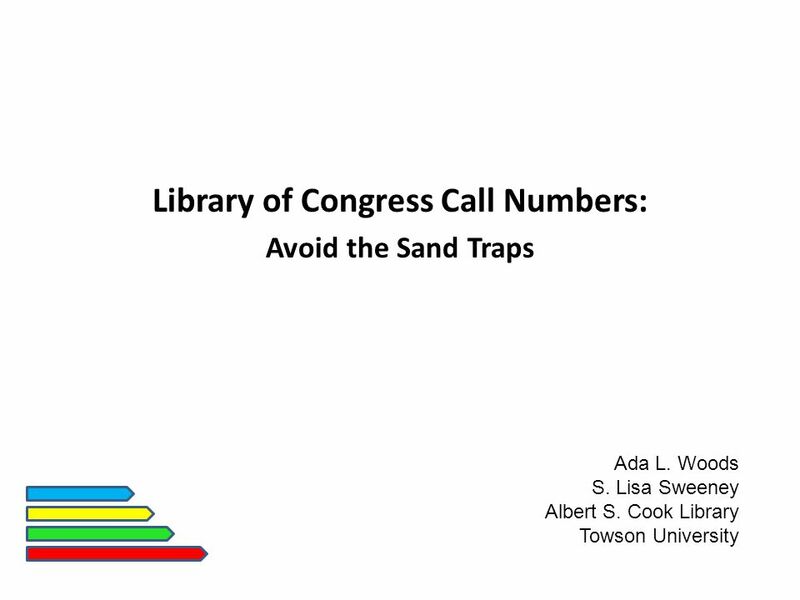 Download ppt "Library of Congress Call Numbers: A Quick & Active Learning Tool Ada L. Woods S. Lisa Sweeney Albert S. Cook Library Towson University." Welcome to the Bush Middle School Library! How To Read A Math Book and Understand It By Professor Marcia Tharp, Ph. 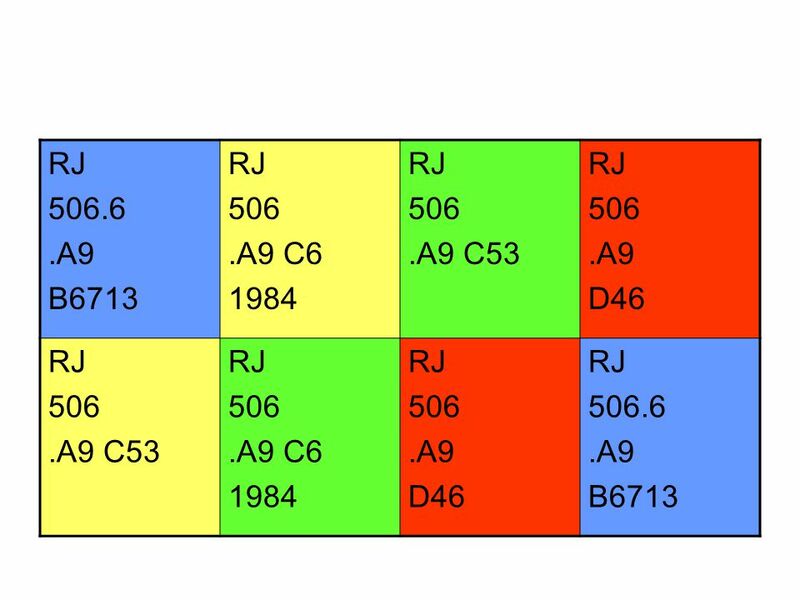 D.
How to interprete LC Call Numbers Letters reflect subject headings. 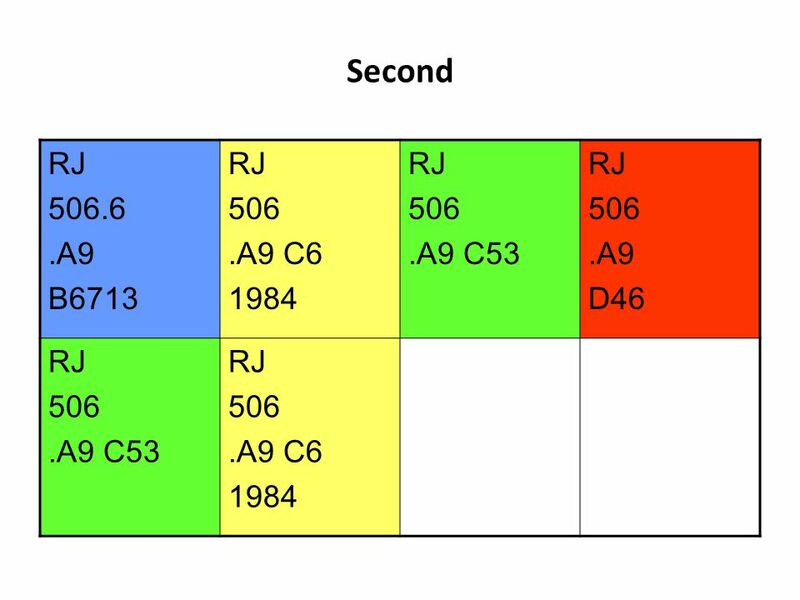 Alpha-numeric system. Decimal point and letter in front makes the number a decimal. Accessing and Using the e-Book Collection from EBSCOhost ® When an arrow appears, click to proceed to the next slide at your own pace. To go back, click. Applying the Distributive Property to Large Number Math Alliance Tuesday, June 8, 2010. Library & Information Services Using the Library Catalogue Part 1: Searching the Catalogue Rachael Hartiss 2008. 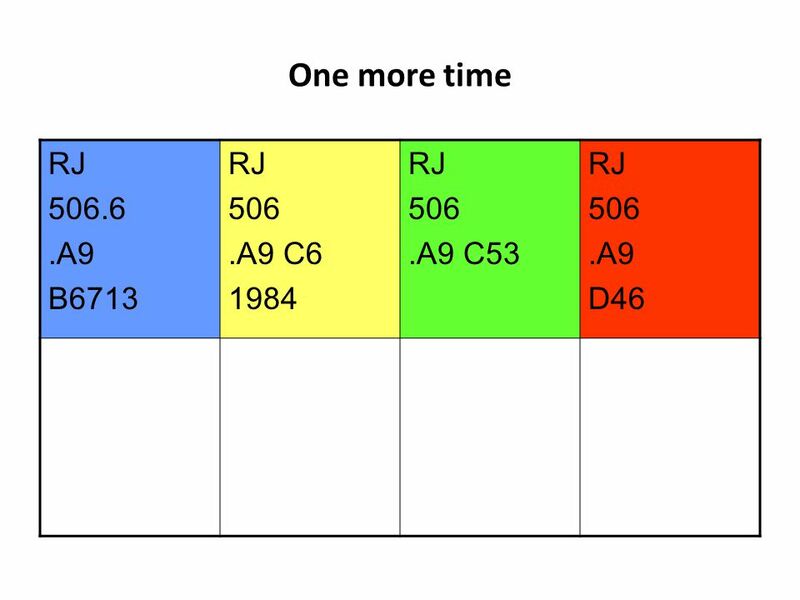 Title of Grammar Rule Authors’ names. Grammar Rule Explain chosen grammar rule. Also give an explanation of your rule being used. First Category Second Category Third Category Fourth Category $100$200$300$100 $200 $300. 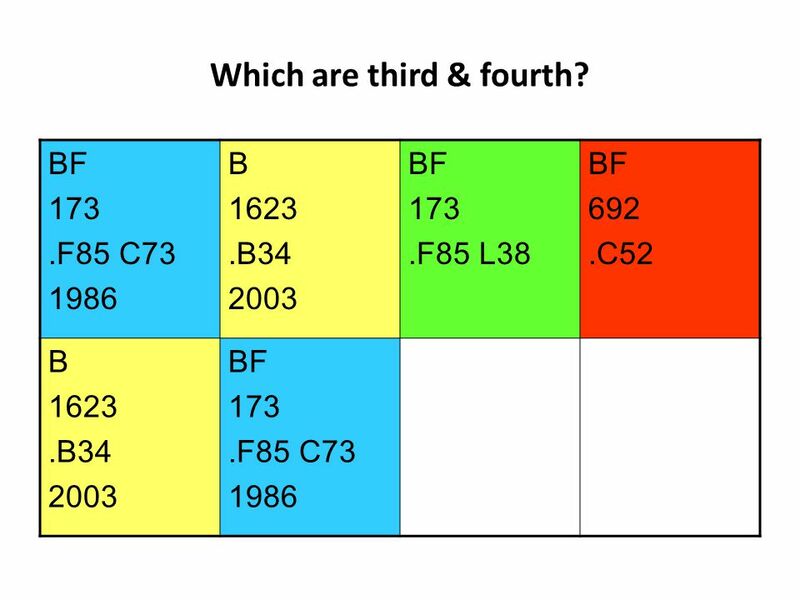 Understanding Call Numbers This module is an introduction to the Library of Congress call number system. Welcome to the Student Workers Training Modules. Using the Children’s Literature Comprehensive Database Atkinson Library Jackson Community College. Problem of the Day Problem of the Day next Using a Calculator. 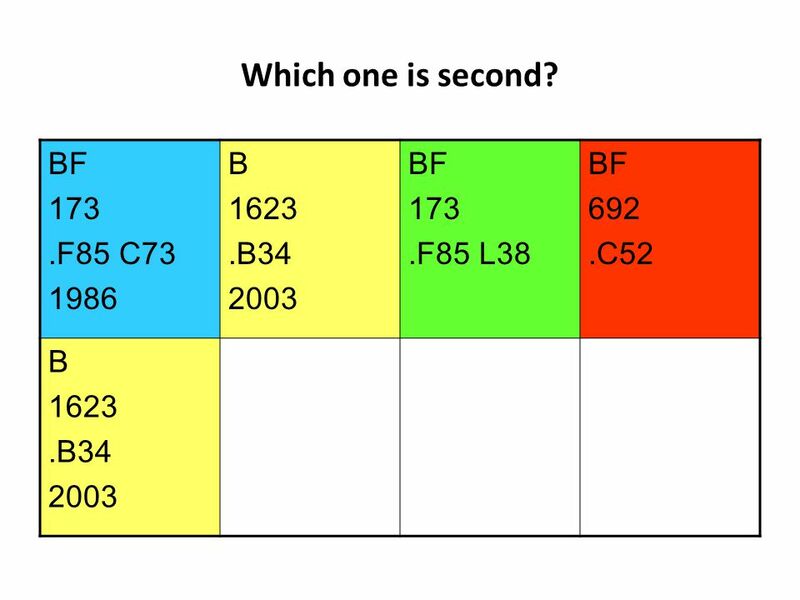 What is a call number? 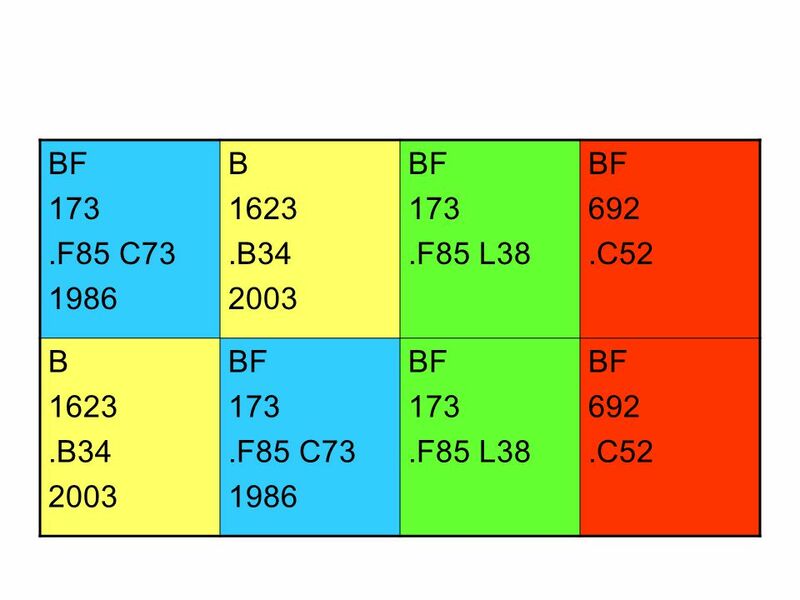 A call number tells you a book’s location (address) in the library Nonfiction call numbers are made up from numbers and letters. 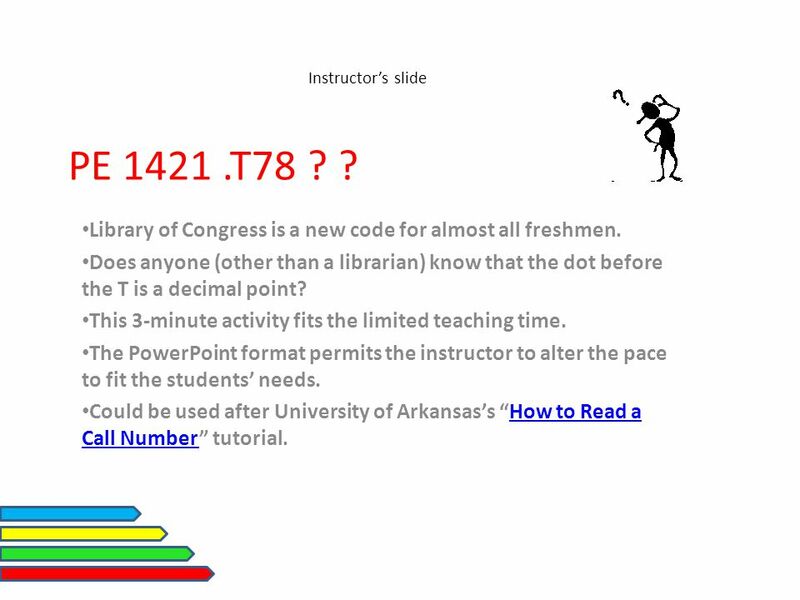 New Student Seminar LIBRARY INSTRUCTION Prof. Jacqueline A. Gill Ext Click the down or up arrows. Miller Library and Information Service How to find the information you need : using the TAFE catalogue (TAFEcat), library signs and shelf numbers Version. New Student Seminar LIBRARY INSTRUCTION Prof. Jacqueline A. Gill Ext. 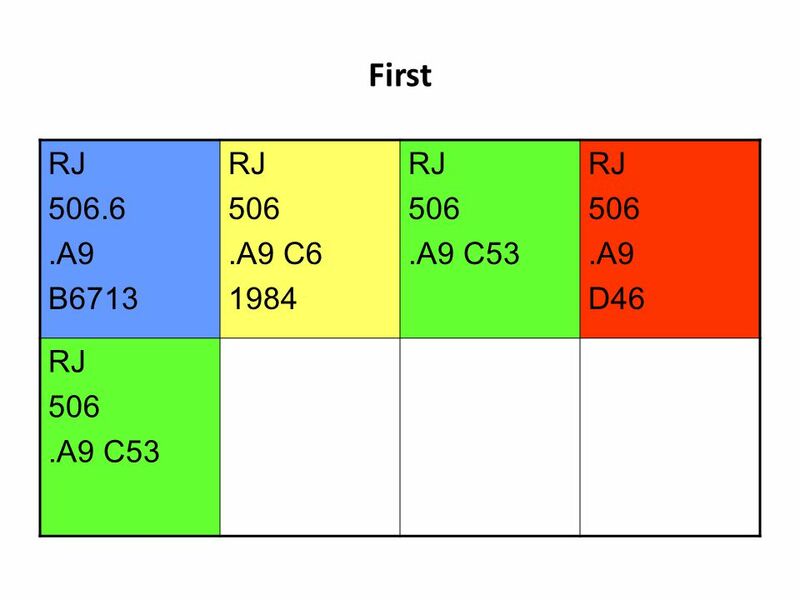 6089 Click the down or up arrows.